It's hard for me 【to get up so early】. 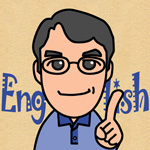 It's easy for me 【to read English】. It's important for us 【 to reduce the amount of waste】. I don't know 【how to play it】. Miki knows 【how to cook spaghetti】. She doesn't know 【how to cook udon】. We can learn 【how to become friendly to the earth】. I know 【how to bake bread】. Could you ask himに 【to call me back】を? I asked herに 【to clean the table】を. My mother told meに 【to give the flowers some water】を. I asked my fatherに 【to buy me a new bike】を. Mother asked meに 【to clean the table】を. We usually call her = Alex. Just call me = Beth. We call it = kaiten-zushi. Some people call them = 【sushi train restaurants】. His songs always make me = happy. 【Reading books】 sometimes makes me = sleepy. It made sushi = more popular in Japan. I don't remember [when it is]. I don't know [where the soccer game will be held]. Do you know [when the school festival is held]? Do you know [why Japanese food has become so popular]? Many people think [that Japanese food is healthy]. These data show [that Japanese food is becoming more popular around the world].